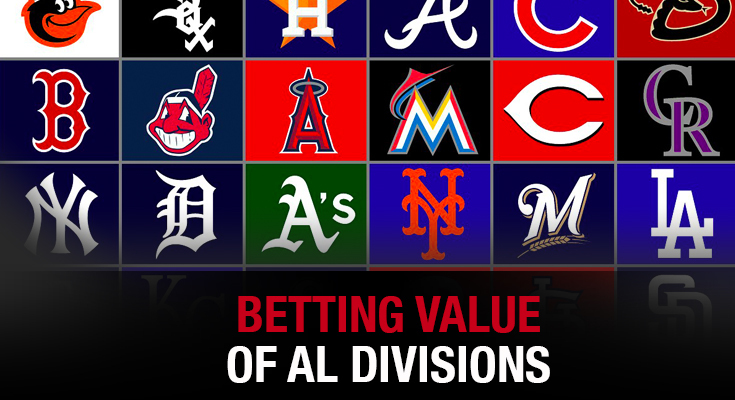 Now is the time to make your betting predictions, a month and a half into the 2017 MLB season, oddsmakers across the sports betting industry are united in crowning the Cleveland Indians as the overwhelming favorites to win the American League Central Division. The Indians are already heavy -500 chalk to win the division. Detroit (+600), Minnesota (+750), Chicago (+3300) and Kansas City (+3300) are all available in plus-money. As of May 17, the Twins ranked at the top of the division at 19-16, with the Indians at 20-18, the Tigers 18-19, the White Sox 17-20 and the Royals 16-22. It’s early in the season, so it’s no surprise to see the Indians as the heavy front-runners. Cleveland clearly boasts the most talent in the division from top to bottom, and the Twins are overachieving in a big way. After all, Minny entered the season with the longest odds to win the division at +2800. As far as the West division we could start by saying that Houston is running away with the AL West but that would be inaccurate. Just 40 games into the season, the Astros are already eight games up on second place and the 28-12 record they sport is the best in baseball. That’s been reflected in the odds and online books have pegged the ’Stros as the -1600 favorite to take down the division with the Mariners and Rangers both trailing far behind at +1200 apiece. Compounding their overall success with a dominant start against AL West opponents, the Astros have gone 17-6 vs other teams in the division and are convincing me more every day that they’re one of the three best teams in the majors. Starting pitching, the area where the Astros were thought to have their biggest weakness coming into the season, has been phenomenal. Their starting rotation’s 3.57 ERA, good enough for third-best in the majors, has been greatly aided by Dallas Keuchel, a hurler who’s having a serious comeback year. The lefty’s 1.84 ERA and 7-0 record through nine starts in 2017 are a far cry from the 5.43 ERA and 2-5 record he had accumulated through the same number of starts last year and it looks like he’s rediscovered his Cy Young form from two seasons ago. Additionally, the progression of Lance McCullers Jr. (2.98 ERA) has given Houston some starting depth and he and Keuchel could be one of the best one-two punches in the American League.